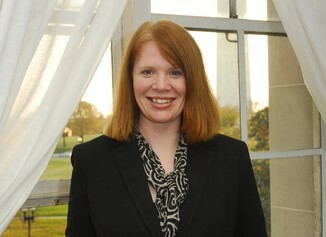 Kim Glas is the Deputy Assistant Secretary for Textiles, Consumer Goods, and Materials at the U.S. Department of Commerce. She oversees programs and strategies to improve the domestic and international competitiveness of the broad product range of U.S. textiles, apparel, consumer goods, metals and mining forest products, and chemicals and plastics manufacturing sectors and industries. Ms. Glas also serves as Chairman of the Committee for the Implementation of Textile Agreements (CITA), which supervises the negotiation and implementation of textile and apparel agreements. Prior to joining the Department of Commerce, Kim Glas served more than 10 years as a professional staff member in the U.S. House of Representatives. As Deputy Chief of Staff and Legislative Director for Representative Michael Michaud of Maine for over seven years, Ms. Glas managed the Congressman’s legislative agenda and was the key advisor on international trade and labor issues. In addition, Ms. Glas worked for Representative John LaFalce of New York during her tenure on Capitol Hill, advising on trade and labor issues. Sheng Lu: Because almost all clothing consumed in the United States nowadays is imported, some people wonder if there is still a textile and apparel industry in this country. What is the reality? What does the general public should know about the US textile and apparel industry today? Kim Glas: While imports still dominate U.S. consumption of textiles and apparel, we can expect to see a new trend going forward. Currently, the textiles and apparel industry in the country is experiencing a different manufacturing paradigm than 10 years ago. In 2012, textiles and apparel exports were $22.7 billion, up 37% from just 3 years earlier. This is indicative of a reassessment by American companies about manufacturing in the United States. Cost, time benefits, and international economic challenges have closed the international manufacturing gap making it more attractive to source at home. More and more U.S. companies are considering and many have moved production or part of their production back to the U.S. This return of manufacturing to the U.S. is expected to continue into the future. This means consumers can expect to find more quality and more affordable Made in USA textiles and apparel in the market in the years to come. The United States has a strong and diverse textile industry, manufacturing a range of high quality products including fibers, yarn, fabric, and apparel. It is the fourth largest single country exporter of yarns and fabrics, with $13.6 billion in exports in 2012. The United States is also home to one of the largest providers of spun yarn in the world, Parkdale, Inc., with 29 manufacturing plants in the United States, Central America, Mexico, and South America. Sheng Lu: From your view, what role does the OTEXA play in enhancing the competitiveness of the US textile and apparel industry in the 21st century global competition? Kim Glas: OTEXA administers and enforces agreements and preference programs concerning the textile, apparel, footwear and travel goods industries and works to ensure fair trade and a level playing field for these industries to enhance their competitiveness in international markets. The office has an active Export Promotion Program that assists small- and medium-sized U.S. textile and apparel firms to develop and expand their export markets helping job retention and creation in this and related sectors. Sheng Lu: There have been many discussions recently about manufacturing coming back to the United States given the rising labor cost in China. Yet, statistics from the US Bureau of Labor statistics show a continuous decline of employment in the manufacturing aspect of the US textile and apparel sector (i.e. NAICS 313, NAICS 314 and NAICS 315). What is your view on the future of textile and apparel “made in USA” as well as related job opportunities? Kim Glas: The U.S. textiles and apparel industry employs over 380,000 people nationwide. Declining employment in this sector has been an ongoing trend for the past four decades, a development related mainly to productivity improvements and international competition. The adoption of new technologies has boosted productivity in this sector. Advances in technology and manufacturing capabilities by capital-intensive U.S. textile and apparel firms have contributed towards competitiveness and productivity, increasing output and lowering labor costs. The apparel industry has retained more skilled and higher-paying jobs in such areas as computer-aided design and manufacturing, marketing, and product development. Lower-skilled apparel production jobs have moved offshore, in support of our production-sharing operations in Mexico, Central America, and the Caribbean Basin, as well as to other countries with lower labor costs. The continued upswing of re-shoring sentiments and companies moving textiles and apparel production back to the U.S., combined with increasing consumer demands for Made in USA products will help foster more U.S. production hence increasing high-skilled job opportunities in these sectors for the foreseeable future. Sheng Lu: This year marks the 20th anniversary of the North American Free Trade Agreement (NAFTA), which has been both lauded and attacked in the United States. In your view, does the US textile and apparel industry a beneficiary of the agreement? What critical changes has the NAFTA brought to the US textile and apparel industry over the past 20 years, if any? Kim Glas:The United States exported a total of $22.7 billion in textiles and apparel in 2012, including $5.3 billion to Mexico and $5.2 billion to Canada. Together, our NAFTA partners account for 46% of total U.S. exports of textiles and apparel. The United States imported more than $113 billion in textile and apparel products in 2012, including $2.2 billion from Canada and $5.7 billion from Mexico. U.S. imports from our NAFTA partners have a high U.S. content and therefore help to preserve U.S. jobs and increase sales opportunities for U.S. producers. U.S. textile and apparel firms have benefited from NAFTA provisions including the “yarn forward” rule of origin and Mexican production-sharing arrangements. This has allowed them to optimize production and manufacturing. U.S. investment in Canada and Mexico has increased by 57% since NAFTA was implemented, reaching $592 million in 2012. The United States remains the largest single-country supplier of textiles and apparel to Mexico. Sheng Lu: Both the ongoing Trans-Pacific Partnership (TPP) and the Trans-Atlantic Partnership (TTIP) negotiations include a chapter specifically dealing with textile and apparel. What makes textile and apparel always a unique and sensitive sector in the free trade agreement negotiation? And what does the US textile and apparel industry can expect from the TPP and TTIP? Kim Glas: The U.S. approach to free trade agreements (FTAs) has been to provide for specific rules that apply only to the textile and apparel sectors in several areas, including rules of origin and related matters, safeguards and anti-circumvention Customs cooperation commitments. Treating textiles and apparel in a separate chapter of an FTA provides more clarity and transparency, and therefore makes it easier for industries and traders in our FTA partner countries to make maximum use of the opportunities of the agreement while improving compliance. As the largest market for imported textiles and apparel, and as one of the world’s largest markets for imported textiles and apparel, trade negotiations for this sector require experts with specialized knowledge. Textile issues have been addressed in a textile negotiating group in all of our major FTAs, past and pending, with full coordination with other relevant negotiating groups. Sheng Lu: looking ahead in 2014, what are the key industry development trends and trade policy issues we shall watch? Kim Glas: The turnaround in U.S. manufacturing of textiles and apparel is expected to continue to reshape the manufacturing landscape of this industry with improved industry strategies and planning. U.S. companies will be increasingly active in their efforts to innovate and improve to keep and stay viable in today’s highly competitive global market place. In addition to keeping up with innovations, we can expect to see improvements in companies’ sourcing, supply chain management, and development of niche product and improved quality. Moving forward, we can expect to see U.S. companies to be to be more lean, efficient and flexible with consumer and market demands. Before this class, I never knew how much the United States relied on other countries to produce our products. I never quite understood what globalization was. In Kim’s first response she mentions how some U.S. companies are slowly beginning to bring production back the U.S. and that over the years more and more production will be brought back to the U.S. While production in the United States may be more costly than overseas, because of overseas production, unemployment rate went up. By bringing manufacturing back the U.S., those who lost their job due to globalization will have a chance to get their jobs back. The textile and apparel industry nationwide is becoming more and more competitive due to advances in technology in certain regions. From this interview we are able to take away a positive outlook for the future of the Untied States T&A industry. Kim mentions that more higher skilled jobs involving advanced technology will be coming back to the United States giving skilled workers their jobs back. The jobs of lower skilled work, will be produced off-shore to the developing countries without the advanced needs. Being a tmd student and learning about offshore production and the toll it has taken on the U.S. and employment, it is very comforting to hear things are expected to take a toll for the best. The United States is a major player in the T&A industry nationwide, and we are lucky to have the advances we do over certain countries. Changes in NAFTA have only positively effected this country, keeping us as leading country in this industry. Things are looking up for the U.S. and hopefully many jobs that were lost can be restored. I enjoyed reading this interview due to the comfort of knowing what is expected to happen in the future for the U.S. T&A industry.